Home / breakfast / fast food / Food / hamburger / healthy eating / healthy lifestyle / lifestyle / McDonald's hamburger / Why have hamburgers become the most famous food around the world? Why have hamburgers become the most famous food around the world? Hamburgers are the most popular meals in all countries of the world, no matter how different cultures, all groups like hamburgers. What is the secret of this spread throughout the world? 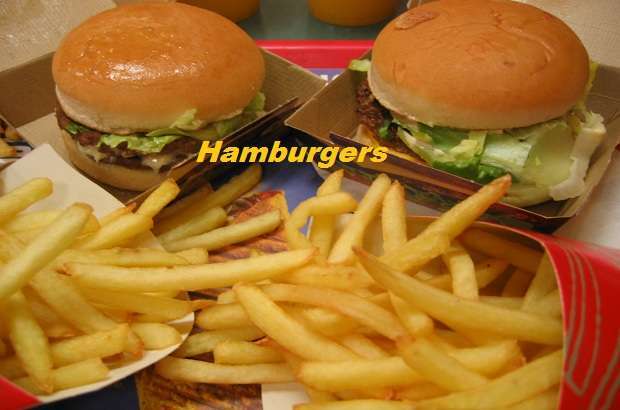 Hamburgers are one of the most famous and popular dishes around the world. Lots of people eat hamburgers in a crazy way. A lot of luxury is now on this fat and delicious meal. Some may think that these eaters are modern but in fact, have existed since ancient times and have been found in an ancient Roman cookbook. In this book, the current hamburger was found, but it was not the same as the current appearance of around story with beef in it and a bunch of vegetables on top. It was a mixture of onion and Italian spices. Also in the twelfth century, the Mongols in East Asia where an army of travelers. So they made hamburgers with horse and camel meat so they could eat meat on the road without resorting to slaughtering the meat source on a daily basis. In the days of Genghis Khan, there was a very strange way to prepare the hamburgers by putting the steaks under the horse's saddle and with the jogging and heat coming out of the animal's body, the steak was cooked and eaten by the soldier because they did not have the time to prepare the food. In the late 19th century, hamburgers became popular in America, especially in the port of New York, where there were many restaurants catering to commercial ships going and coming. At that time the meat chopping was not easy and was done by butchers not like today through kitchen machines. Then the hamburgers were minced meat with a little salt with onions and bread crumbs and mixed well, then the chef made them in the form of a circular slice. It is said that this meal was moved to Germany because they found it on the menu of a German restaurant at the time, the restaurant Delomnik in 1837. The price of the slide at that time is 10 cents, twice the price of the steak. But a few years later, hamburgers became more widespread and gradually became less expensive. There are many restaurants that use hamburgers as a kind of attraction for customers and this is because hamburgers are often the fastest way to prepare savory meat. Therefore, there is a very high demand for it for all ages. Especially the staff at work and this is because it does not take much time, but enough to take the car to any hamburger outlet and within 45 seconds your order will be provided. However, you will not need a table until you eat hamburgers, but immediately you can hold the bread by inserting the steak and start eating with all his mind. More than four billion people around the world eat hamburgers. Of course, this proliferation comes from the reality of its taste. No one hates the fat taste. Especially with respect to meat. Even Indians who do not eat meat eat vegetarian hamburgers, or chicken meat, called "Chicken Burger". Everyone loves the taste of grilled meat on the grill and seasoned with the finest spices with a mixture of onions and pepper. The hamburger bread also contains not only the steak but also several other useful ingredients and vegetables. Making the burger sandwich one of the best fast food in style. The idea that fat meat is quick to prepare will attract anyone to eat this type of eating over and over again. So much so that there is a hamburger shop in America that has been opened and the dressers are dressed as nurses. Because they offer the largest fat hamburgers in the world, which can cause a heart attack of the amount of fat entering the person's body at once. 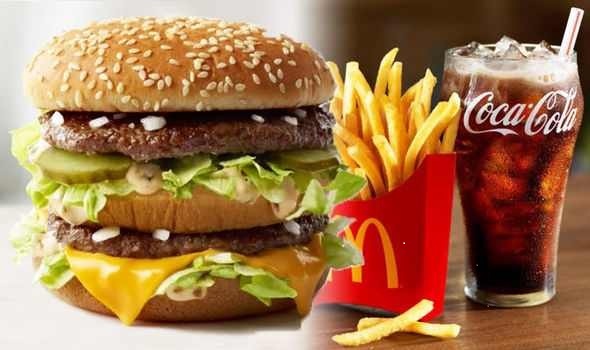 McDonald's: It is one of the largest chain stores all around the world. With a total of up to thirty thousand sales centers. Of whom more than 15 thousand hamburgers sold in America only. A shop opens every day in China. This awful number of McDonald's outlets makes you understand why hamburgers are so prevalent in the world. As they offer not only one type of hamburger but many kinds. They made a vegetarian hamburger and were able to sell it in India because many Indians do not eat meat. Also chicken hamburgers, all kinds, and different sizes. McDonald's Branches serves almost 69 million people around the world every day. In other words, 69 million people eat hamburgers from McDonald's. How much more than the other chains. Even the Beige Mac economic index on global stock exchanges is indicative of the country's standard of living. Because the net profit of this series per year exceeded the barrier of 2 billion and 600 million USD. That is, the net profit is the national product of some poor countries in Africa. There is a very big advantage to making hamburgers at home. The first is to control fat. The hamburger slice and bread used with it are estimated at 1000 calories. Which made the eighties a great uprising because of obesity, which is suffering from the American people. 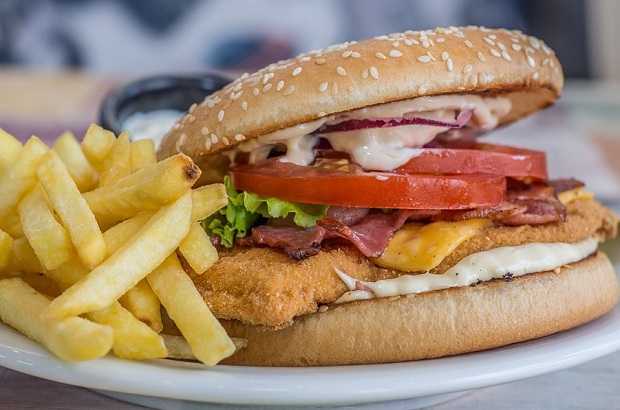 Hamburger is one of the most important reasons why this population is number one in the rate of obesity according to the World Health Organization. From this point of view, we must control the fats in the manufacture of hamburgers, which makes home-made is suitable for these very tasty eaters. First, the components of hamburgers that are settled on the grill are: One kilogram of meat, preferably a beef for a small animal and the meat is chopped at the butcher or at home by the tools of cutting. Then hung large spices of meat such as barbeque, thyme, saffron, cumin, salt, and cinnamon. Half a small suspension of white pepper, an egg, and a half-cup equivalent of crushed squash. Then the hamburgers are prepared by adding the amounts of spices to a kilo of meat. And then you have to knead them with your hand well until the spices are distributed on all pieces of meat. In another dish, break the egg and place it on half the cup of the crumbs and add them all to the meat and spices until the whole mixture becomes homogeneous. I do not mind if you taste the edge of your tongue taste of the mixture, if you find salt, add some crumbs. If you find exhaust, put a little salt. Then the meat is formed in a circle, and you can determine the fish you love for each piece. You can also make small pieces suitable for children's hands and then placed on the grill. The heat allows the fat to be removed and filtered to the desired level of cooking. Then put it in the bread with some vegetables such as lettuce and tomatoes. Also, put them on a slice of cheese and will give a wonderful taste. Hamburger is one of the most delicious and delicious dishes. But you should not multiply them because they contain a lot of fat that may adversely affect your health in the long term. Writer: Ayman Soliman, An Arabic writer, and novelist who adheres to the method of experimentation in narrative writing, he won some local awards in the short story, he had written this article in the Arabic language.